Although most of the time I see that the people joining men’s forums are not getting arrested upon 498A FIR, there are a few who have been arrested. I think they are aware of the SC judgment against arbitrary arrest in 498A, but haven’t taken any action against police/magistrate after that. The Arnesh Kumar SC judgment is already blogged here which gives full judgment text of “no automatic arrests in 498A” judgment by Supreme Court on Jul 2, 2014. This post is meant for anyone who got arrested under 498A after Jul 2, 2014, and wants to do something about it. After the above judgment has come into force, based on my assessment from calls received, the number of arrests under 498A seem to have come down by 70-80% at least. We cannot be sure of the exact statistics until NCRB (National Crime Records Bureau) releases its update of crime statistics which incorporate data after Jul 2014. It’s also possible that in some states like West Bengal, Bihar, Jharkhand, many of the falsely accused don’t call men’s rights helplines, so with lower awareness of citizens’ rights the number of arrests may be more; and also we don’t get to hear about many of those arrests. Below, I give the main points from SC judgment, and basic scenarios how police may behave after 498A FIR is filed; and how to complain to authorities if you were unjustifiably arrested after filing of IPC 498A case after Jul 2, 2014. Note that it is possible that along with IPC 498A there was another IPC section in complaint which has more than 7 years punishment, so the SC judgment on 498A/7 years limit may not be applicable. Now after the above 6 points, follow the main points (7) and (8) in the Arnesh Kumar SC judgment (the headlines are mine, not part of judgment), which defined what action can be taken against police or magistrate or both of them. (7) Failure to comply with the directions aforesaid shall apart from rendering the police officers concerned liable for departmental action, they shall also be liable to be punished for contempt of court to be instituted before High Court having territorial jurisdiction. (8) Authorising detention without recording reasons as aforesaid by the judicial Magistrate concerned shall be liable for departmental action by the appropriate High Court. So what you need to do is check if the points (1) to (6) were followed or not fully. If not, then using points (7) and (8) above you can approach senior police or high courts against police and magistrates for action against them. Below is how various combination of scenarios will work out in any 498A case. 1. Happy scenario of law abiding police: Police follows CrPC 41 and 41A procedures, and sends notice of appearance under CrPC 41A to accused husband/his family. This seems to be happening in most of cases these days. If the accused cooperate, the police cannot do anything except call them maybe couple of times and take their statement etc. 2. Law abiding police, but accused go into hiding: Police follows CrPC 41 and 41A procedures, and sends notice of appearance to accused husband/his family. The accused husband/family lose nerve fearing arrest, and instead of complying with notice, they go absconding trying to get an anticipatory bail in the meantime. As per law (don’t ask me about the CrPC sections, I am not studying to become a lawyer), they can be declared absconders from law. If they get anticipatory bail while absconding, well and good, but if they don’t, then they will have no choice left but appear in front of court and surrender, and hope to get bail same day or else get remanded to judicial custody. In most places, people get bail after 3 days maximum but in few dark corners of India where men’s rights has not penetrated fully, it may happen only after 14-15 days. 3. Police follows oppressive tactics: Police does not follow CrPC 41 and 41A procedures, and arrest husband/family members arbitrarily and without reason, and police has no good evidence to show to court why arresting the accused was necessary. Now when the accused are produced in front of magistrate, the magistrate has to look at the 6 points given above in Arnesh Kumar SC judgment, and if those points were not followed, then point (7) of the judgment can be used against police. The magistrate finds from the records given by police that they did not follow the CrPC 41A procedure, and grants bail to accused, and also orders for departmental action against police personnel. In fact, in order pasted at end of post, the Punjab and Haryana HC has done exactly that and started departmental action against police personnel by following point (7) of judgment. 4. Police oppressive, magistrates sleeping on job: Same scenario as in point 3 above, where police does not follow CrPC 41 and 41A procedures, and arrest husband/family members arbitrarily and without reason, and police has no good evidence to show to court why arresting the accused was necessary. But what happens now is that the magistrate also does not do the job as he is expected to do, and does not check whether police recorded reasons for arrest, and/or whether the reasons recorded for arrest were justified or not. Now in this case, both police and magistrate have failed and they are both liable for penal action against them. Now along with point (7) against police, point (8) against magistrate will also come into play. 1. The complaint against police will lie as both a departmental action started by senior police officers, and a contempt of court complaint in high court having jurisdiction over the police station. One should start with departmental action at the least. 2. The complaint against magistrate can be filed to the High court registrar/administrative department of high court having jurisdiction over magistrate’s court. Lastly, the Arnesh Kumar SC judgment is applicable for all offences with punishment upto 7 years, not just IPC 498a. So its scope is much wider and it is really against arbitrary exercise of power of arrest by police and it’s routine authorisation by judiciary rather than just misuse of 498A. Following is a real example of a departmental action taken against police for having routinely arrested a person under 498A. In this case, the judge while granting bail also made DCP, Panchkula responsible to start departmental action against the police persons who arrested this person without filing the checklist of requirements of CrPC 41A. If the DCP doesn’t take any action, then they will become liable for contempt of high court as per order below. I thought they would give me my 17lakhs and arrange for actual marriage.. but they started to cheating me saying that they were not going to give me my money and also they threaten me to marry the girl.,otherwise they would file a 498a complaint against me and my family members also they demanded more money .. when I refused to give money to them and asked my money then they filed a false 498a case against me and my family members…. On 16th 0f August 2017, it was my Divorce case date at Family Court, but morning 10 am. two person came and asked me to come out from home, I asked them what is the matter then they said that they r from the police station and there is a complaint against me and I have to go with them. I asked them about my crime so they said that will tell me in police station only . then I denied to go so they called their officer (API). he came with complaint against me charging section 498A, 384, 506,34, 66E,67, 03(2). and took me to the police station and seized my phone too. and did not allow me to call my lawyer. they took my statement in typing on a laptop, not in writing . after that they just wasted whole day intentionally. and released me in evening and told me to come next day where they will arrest me and will take me to the court. they released me ensuring that I have to give them 10k for their so-called mercy on me … I was confused that time there were no other option for me so I did accordingly . next day they arrest me and put additional charges of Section 498A and 384 on me and my mother also took me to the court without Medical, filed FIR for 14 days of MCR, where I got Bail and also magistrate gave a Show Cause Notice to Police officer for not following Guidelines . he got his date to for saying on show cause. according to his Saying he has followed Every Guideline. now it’s almost 75 days . and they are unable to proceed further action which has been based on false Alligations but due to all this me and my family suffering a lot of humiliation and depression. I am not earning right now unable to stand. btw taking u to flashback I got cheated by my wife and my company has been taken by her fooling me emotionally. she signed my company on her name 2 years back. later that I came to know that she is into an affair. I’ve gathered evidence and I filed Divorce Case against her . in between she harassed me on phone on Whatsapp FB but smartly she was doing .she wanted me to withdraw that case and do mutual outside. but I denied because according to me she is very smart and it was her trap. I tried to avoid her in everything she started adding friends and family members of mine on FB and messaging them telling that how bad I am. I just replied to their friend’s question that she cheated on me. she got that screenshot and one of her tattoo design saying that m sending it to groups she made it 66E, 67. also she was into Blackmagic stuff where I saw her doing practice. I told all these things to her parents but they told me to keep quiet but I object and told them to stop such thing otherwise I will tell this to everyone. on that note, she put section 03(02). saying that I took her to the tantrik for kids and all . on her statement funny thing is that she said I took her for Abortion for 3 Times also. she made a complete false complaint against and did a big damage on us. I am jobless. I am unstable, I am living in a fear, I am taking money from my mother for fighting this case. I can write a book on things which I’ve seen till that much I have to say but I am not in a state to re-scratch my wounds. I am here for proper Guidance. please Help. Victim of False 498A and other 6 false Sections. You can fight your divorce case separately, and 498A etc may go on. The 498A and false allegations etc can be used to show mental cruelty also in divorce case. Don’t leave the police, follow up on the show cause. There is no special guidance, but one needs to come out of victimhood mindset; the path will open up automatically. YOU SHOULD COMPLAINT IN THE HIGH COURT DIRECTLY UNDER 482 CASE, AND YOU SHOULD YOURSELF MANAGE TO SAY YOUR POINTS VERBALLY TO THE JUDGE APART WHATEVER YOUR ADVOCATE DO, I AM SURE THE POLICE OFFICIALS AND OTHER WILL SUFFER A LOT THEN,,,THEY WILL NOT HAVE ORIGINAL PAPERS REGARDING 41A NOTICE, NOR THEY RECORDED YOUR STATEMENT IN ORIGINAL, WHICH IS THE POINT FROM YOU SHOULD MAKE YOUR WAY. My wife and me are staying separately since the past 1.5 yrs and Iam currently staying abroad since the past 9 months. My wife has lodged a police complaint on 27th july but we have not received any notification nor mail nor call. We came to know this just now. A relative of mine met the circle inspector, he said that the notice period of 2 months is about to be over and on completion they are going to come to this country and arrest me from here. Also he was suggesting to surrender and seek a station bail. They might also seize the passport interpreting by what they say. Can you please advise on the situation? There is no such thing as notice period, unless you receive a notice at least. Other point about coming to foreign country to arrest, is laughable. Station bail is a scam, there is no such thing as station bail in 498A/406 types of cases. I have not seen even a single document regarding station bail so far from anyone who claimed to have got station bail, it’s basically a way for lawyer/police to fool people and make money. Only court can give bail in 498A/406 types of offences. Passport can be seized only by court order. Never give it to police. A compliant against my brother ,my parents, me and my husband is registered.But me and my husband met only at the time of wedding almost 1 and 1/2 year ago.We do not even live in Inida we are currently living in USA. How should we handle this? The same facts have to be informed to police, and your names may be taken out by police. Usually husband’s and his parents’ name will always be kept, unless the parents are also staying in different city and haven’t stayed with the couple. There should be No Exceptions on the basis of Gender; and the complainant must be punished for filing false cases against the husband and his family members. The information provided is very helpful as my family is going through false DV and bla bla cases by my brothers wife. Ready to fight for right. My case is going in the women cell police station, Jalandhar. In my case, my wife’s father is producing bills in the police station (which i’m 200% sure are fake bills) and i guess which will lead to an arrest or a notification that i’ve to present my self in the police station. And i’ve learnt that under section 41a i can temporarily get a bail. But, till now i don’t understand that why would the police not verify the bills, why wouldn’t they assess the facts ??? rather what i’m listening is that i’ve to pay some bribe to the cops and only than they will speak in my favor.. Moreover the IO already said that i don’t have to worry, because as i’d mentioned above they’ll do the same and later on get the FIR cancelled. I mean, now it’ll be the second time i’m going through this 498a complaint against me. everyone knows that she is not living with me and its been nearly 15 months since she has gone and i’ve been trying to ask her to come back and still i’m the one to suffer.. what the hell!!!! Soon after the wedding, the girl and her mother started dictating, along with her other kins.Her stays at her home were 20-30 days long. They actually wanted that the boy should get shifted to her town. To pressurize, charged the boy of having many affairs with girls and keeping her hungry..?she fabricated false fir and involving mother, father and sister of the boy, filed FIR for 498a+×, and DV 12,23 after months if marriage. Now when 6 months have elapsed, Domestic Violence case also commenced as the mediation had failed. During this period she continuously kept on sending threats from a different SIM. Now she pretends that she wants to come back and has asked the DV judge to grant mediation second time. Things have not improved. Mother and father of the girl both are lawyers but they are also living in sepwration for years. The mother of the girl has not called even I ncr since she alo g with 3-4goondas shehad taken her daughter 6 months ago. Now after couple of weeks the second time mediation is about to begin. The I tention of the girl are not bonafide. On false grounds she wants to pressurize. She has sent messages to all relative, religious leaders and friends of the boy and has brought defame. After knowing that one mediation has already failed, the grant of second mediation is a panic. And after knowing that thay are very good at fabricating false stories and also the faith has broken, defamation done….What do we need to say in the mediation and what should we do to get out of this false case trap? By now you should either understand that mediation is of no use to husbands who are accused in such cases, and maybe you don’t even understand what mediation really is all about. Only a trial in court will give you chance to give evidence, and you should shun mediation and get it to trial stage. The lady, an NRI indulged in credit card fraud in 2007/8 in Canada. Didn’t disclose at marriage time early 2014. Husband learned while applying for home loan end 2014. No loan was available to to her, not even for a cycle or phone. Since he had already given advance to builder, he had no option but to go for home loan alone at higher rate. Did two jobs & bought a high end car in his name with her as co applicant, only way to improve her credit score over next few years. Paid through nose and stayed over worked, while she did subsistence job, no one gave a good job due to bad credit record being in the bracket of 4% of Canadians with worse credit record. Being ungrateful that she was, walked out on him in Jan, 2016. Stayed in another city in Canada for three months, came back to India and filed 498a FIR in her native place, even as the marriage took place at 12 hours distance and nothing took place there in the first place. Mispelt every possible name ie her own, husband, (Canadian PR & in Canada), father & mother in law, gave a wrong DOB, hid her NRI status, didn’t give PASSPORT No, issuing authority, her profession and falsely stated that she had come to India to gather demanded money from her parents whereas her parents & siblings are Canadian citizens. The parents have got AB and joined investigation. Meanwhile while father & mother in law were with their distressed son, she with her goondas family broke locks of their self acquired house and slapped two cases 1) for not disposessing her, 2) DV 2005. She has been granted stay in both. She is in and they are out. Well the less said about rule of law the better. Her in laws pay 70000 PM as installments of the self acquired house, are paying and staying outside, their vehicle is in her possession. Guys the these both senior citizens are staying outside, travelled three states for AB, joined investigation in another state, but are fighting like valiants but refused to get cowed down. Learnt they filed for quashing of FIR in HC having jurisdiction and another HC for stay to her by lower courts for allowing the trespasser to stay as daughter in law has right to stay in self acquired house of in laws. BE BRAVE.REMEMBER THAT THIS TOO SHALL PASS! DON’T PART EVEN WITH A PIE, IF YOU HAVE DONE NOTHING WRONG, TRUTH WILL PREVAIL. One problem is people as accused want moral support from police. If you don’t expect moral support from police but just ask them to do job as per law and right procedures, things will become better for everyone. We don’t advise on giving any compensation and if you give compensation to “come out of this” then you are admitting implicitly some wrongdoing on your part. it seems as of now they are taking you for a test ride before the actual FIR gets filed. During the test ride they try to see husband’s weaknesses, psychology, fears etc; and may try to use it for profit or just for fun! Read CrPC 41 and inform police that you need that notice whenever FIR filed, so they will be aware that you are aware of law. It’s much more important to let police know you are aware of law and not afraid of law, than other things people do like grovelling, begging, treating police as if they are counsellors, or like judges, bribing, etc. For more join groups (see top right). Thanks Videv… Will join the groups suggested… Thanks for the information on the site has helped regain my confidence a little which I had lost. One final question on AB, I know you are not a lawyer however based on your experience do you think need to get AB right now as family names are also involved or should wait for FIR to be filled? >>do you think need to get AB right now as family names are also involved or should wait for FIR to be filled? there is no right answer… but in general I see too much emphasis by ‘victims’ on getting AB, rather than learning overall process and being patient. Hello sir.myself yousuf ali working in indian navy at Portblair nd i hv got married on jan14 from Ghaziabad. from mar15 my wife is at there home in Ghaziabad nd still now she is unable to comeback at my home in baghpat.i trying 3 to 4 times to bring her bt her parents nd brothers directly refusing to send her with me at my home or at my duty station at Portblair. they r forcing me to stay only in In-laws near about.and said she will remain here only when u come on leave plz come here inGhaziabad after finishing leave go back to ur duty.also said send money for rent room monthly expenditure medicals expenditure etc totally 15 to 20 thousands per a month. one more thing is that they also said u got a salary of 40 thousands give 2 thousands to ur mother for monthly expenditure nd remains salary in hand of her daughter. they r trying to make me mentally torture nd putting me in a false charge impeach.i hv put up a case of sec9 in aug 15 in district court baghpat. finally theyhv also put up dowry case domestic violence against me in apr16.now 2 to 3 dates has been passed there in mhila thana Ghaziabad. bt due to my duty at Portblair i was unable to be in enquiry held in Ghaziabad mhila thana.now station officer said to to my brother that we r forwarding this file in mediation centre.after 25may16 there is no call or response from mhila than or mediation centre.sir plz tell me what is procedure in mediation center nd thereafter what will happened. as a government employee what r the rules for my escape..
>>as a government employee what r the rules for my escape..
All are covered equally under law. maybe govt employees should make life easier for others, because once they find escape routes, it could be end of justice for everyone else. Also, once married, there is no escape as such from such predatory wives/in-laws. One has to deal with mahila thana etc courts whatever. So only advice is not to get her pregnant… and not to leave job (which being govt job probably you won’t anyway) to finish cases first. My DV and 498a cases are under different judges, I want them to trialled under a same judge. 1. Is there any sample “application” how to write it in this regard. I need this as a sample “application”. 2. Next, to whom Should I address this application: Judge hearing DV or Judge hearing 498a? You have to check with lawyer on this. 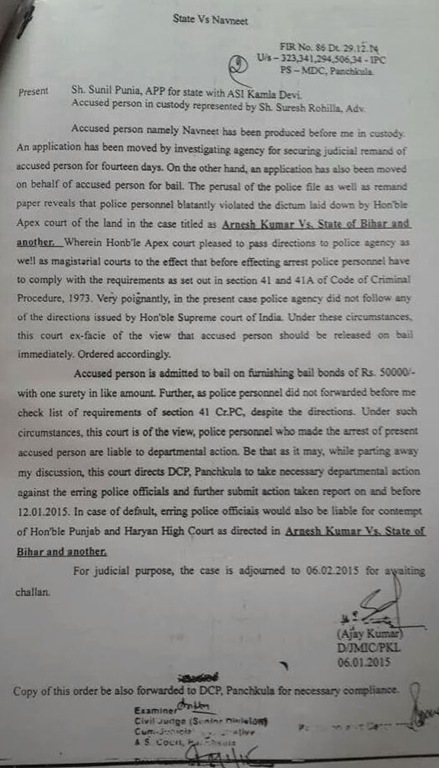 5 person applicant 498a Anticipatory bail. Anticipatory bail on executing PR bond of Rs.15000 Each with one Surety for the like amount. which Surety in access the bail ? PR Bond of rs 15000 each. which document provide to PR bond,without cash deposit PR bond which system. like Fixed Deposit other format says? Videv Sir, your website and you are awesome. Your way of explaining the concept is really great. Thanks for your help. Does Arnesh Kumar Judgement also applies in case AB is granted. Even after AB, Police show arrest on papers and release them on bail there and then itself. There are many sections in CrPC and Arnesh Kumar judgment is only about 41, 41A of CrPC. It doesn’t say anything about whether AB is granted or not, so it will apply independently. AB is CrPC 238, so you can check that for details. I haven’t studied about AB in much detail, so can’t comment whether showing arrest on paper is correct or not. But it could be a scam by police to show more arrests, and that could be the reason why number of arrests in 498A as per NCRB data has increased in calendar 2014, whereas on the ground information is opposite that arbitrary arrests are not happening, barring few states like Jharkhand, Bihar, WB etc maybe. Police recorded my arrest and released on bail there itself. They say Because I went for AB they don’t need to follow Arnesh Kumar Judgement. >>Police recorded my arrest and released on bail there itself. I believe that’s the correct legal procedure. Arrest is shown but accused gets released on AB. Arnesh Kumar judgment is only about CrPC 41/41A procedure, which should be followed by police always… read it again, it’s nothing to do with anticipatory bail, it’s about how and when police can arrest, and what procedures they need to follow before that. Also, police says many things which our highly educated citizens also lap up like gospel truth, so I guess they are used to throwing their weight around without being questioned about it. What is the possibility of arrest after section 41a notice? Already appeared once in CAW cell after getting the notice but statement is pending.Shall i go for AB? Have any suggestions for those who arrested before arenesh Kumar, July 14 judgement. How to take action against police. I myself want answer to that question, and it might lie in making state responsible for it’s negligence/faulty actions by way of compensation to victims, and to punish the negligent officials. It happens in other countries that wrongfully prosecuted, convicted are compensated by state when later found out. Of course that happens only in developed Western countries. You won’t hear such news from China or Bangladesh. However that concept is somehow unknown in India and happens rarely. Mostly the state gives compensation (for things like accidents etc) and people keep quiet then. 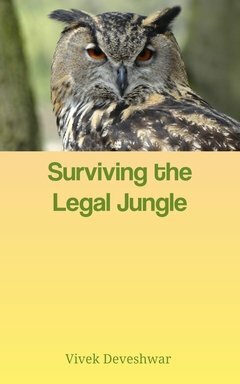 Most of the lawyers also won’t know the law required to file such a case. The judiciary itself is so slow and probably government has the funds and time to drag cases for 20 years in court, that no one bothers to even file such case. So government doesn’t do it’s duty or does wrong, and then fights cases against it in court from the taxpayers’ money! That kind of structure will hardly create any incentives for government to do right things, and anyway India doesn’t have a culture of meritocracy, so why even bother doing the right thing… I could go on with this rant, but you get the point. Nice written advice/guidance to fight against misuse of Gender Biased Law & system of third class country like India. The contents of the site are clear , the formatting is good and its a pleasure to read the pages ! !